Ayr Rotary Club have donated £1000 to the Carrick Centre in Maybole to support trainees who have barriers to employment and are supported by a Support and Guidance Worker to gain valuable work experience in Hospitality, Admin, Maintenance, Youth Work and House Keeping. The Carrick CAN (Create and Nurture) is a 15 week group for young adults with additional support needs. Each trainee has a Personal Development Plan which is created to take into account strengths, interests and future plans. They facilitate accredited training within the Carrick Centre in accordance with Personal Plans. The plan is to create a recipe book and the weekly sessions will cover all the cookery, photography, research and design. There will also be time to socialise towards the end of each weekly session. Situated next to Maybole railway station with buses stopping at their door, the Maybole Centre boasts of something for everyone including cafe & soft play area, function venue, soft play area, a youth programme and even a cinema club. 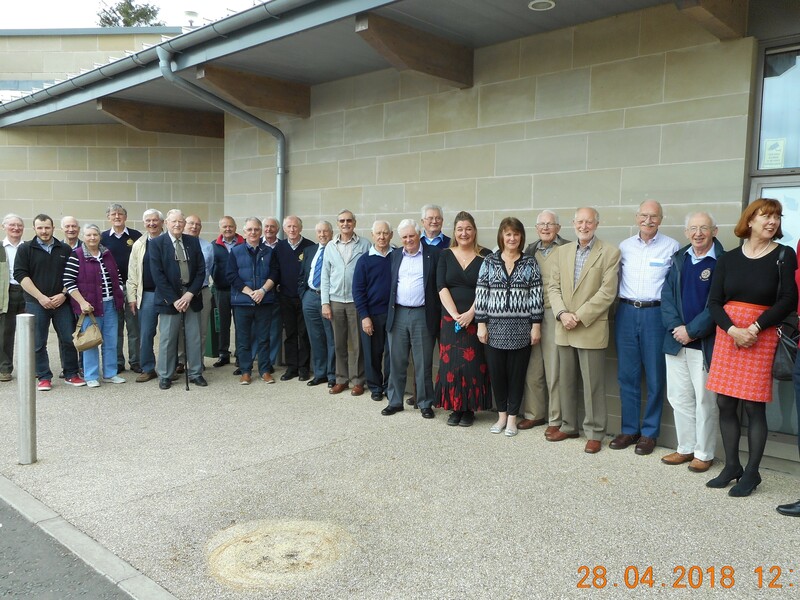 Manager Coral McMillan, expressed grateful thanks to Ayr Rotary Club on behalf of all staff and Directors who showed their appreciation by hosting an excellent lunch for club members preceded by a tour of the impressive facilities. Social Convenor, John Ewing gave a vote of thanks for the Centre’s hospitality.